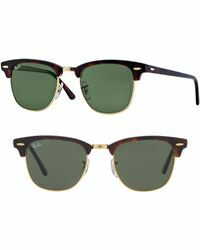 Global sunglasses brand, Ray-Ban dates back to 1937. 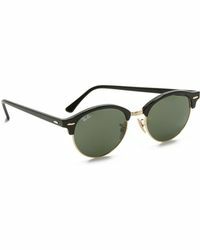 The label started out by providing the U.S Air Force with functional pieces designed to reduce glare from the sun when flying high. 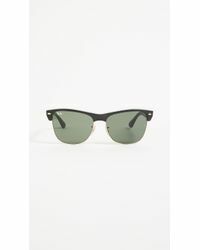 Today Ray-Ban is synonymous with timeless cool and iconoclastic reverie. 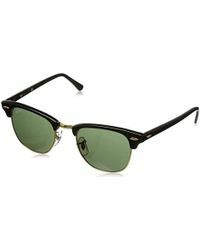 Every movie and rock star worth their salt understands the transformative powers of a pair of Ray-Bans; slip them on and they instantly take your outfit from so-so to sensational. 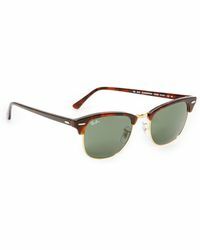 Back in the 80s (when the style was launched) Ray-Ban Clubmaster was a symbol of an accomplished, go-getting lifestyle. 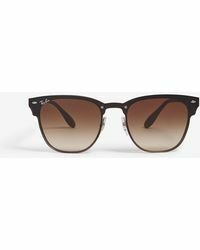 Today, the half-framed, bijoux piece is seen on some of the world's most famous faces, hinting at its world-class reverie. 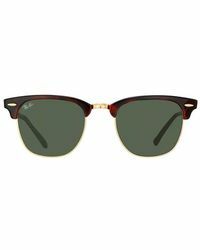 If retro-cool is what you're after, then Ray-Ban Clubmaster is the accessory for you. 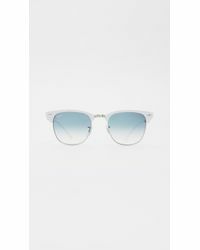 Colored, mirrored lenses and printed frames make for up-to-the-minute reimaginations.